The existence of the Armed Criminal Group (KKB) in Papua is still a threat, especially in the lead up to the 2019 Election. Responding to this, National Police Chief Gen. Tito Karnavian said his party had mapped the territory of the rebels. In addition, in order to maintain the smooth running of the 2019 Pileg and Presidential Election, Tito claimed to have carried out an operation against the KKB. The operation was also assisted by personnel from the TNI. "For KKB, we already know the maps, the average is on the mountain. In Puncak Jaya in Jaya, in Paniai, then in Timika, of course you understand. 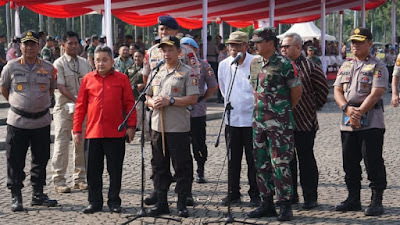 And we already have with the TNI Commander, we are operating a law enforcement police that is backed up by the TNI Commander, "Tito said after leading the security guard in the 2019 Election at Monas, Central Jakarta, Tuesday (18/9). Not only law enforcement operations, Tito explained that he also approached the community. "Approach in the community. What is done by the cooperation between the Regional Police Chief and Regional Commander of the Regional Military Commander is to carry out a soft approach to all parties. Both the general public and groups say Pro M, "said Tito. "In order to create a safe and peaceful election. Because this election is important for them too. Who are the elected presidents may they have an interest which can accommodate them. They are also important to have a good representative, "continued Tito. 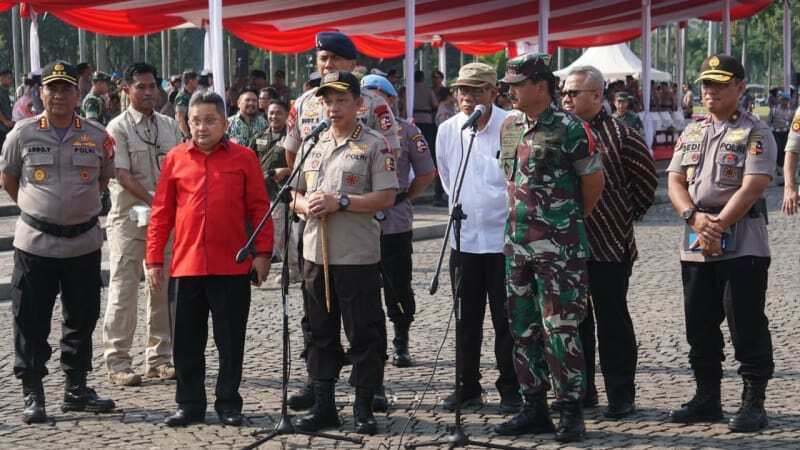 Furthermore, Tito claims that every conflict in Papua has always been successfully resolved by the Police and the TNI. He asked the public not to worry about the potential for conflict in Papua. "So far there is always dynamics. In Papua. Always ending. law enforcement operations that they are retreating, God willing Papua despite the dynamics. God willing, happy ending, "he concluded.